Marie Curie Research Papers study this world famous physicist, and her discovery of radium. Research on famous women in science certainly must include Marie Curie. The papers done at Paper Masters focus on many of the aspects of Curie's life that you see outlined below. Have one of our writers custom write research on Marie Curie or any famous scientist you need discussed for a University level course. A Nobel Prize in Physics and Chemistry, which is the worlds most recognized award for those who benefit humanity. Marie Curie was a curious, ambitious and compassionate person. While women were not allowed to go to college after high school, Marie’s curiosity for science drove her to find a University in France where women were allowed. Even though she could hardly understand her French speaking teachers, Marie ambitiously drove herself to study the language and master it, meanwhile earning two degrees, one in mathematics and one in physics. Marie Curie went about her work in physics and radiation out of compassion for those suffering from cancer, in order to develop a treatment that has helped millions of people since her lifetime. There are several historical facts of significance that are linked to Marie Curie’s life. One is that Marie Currie was instrumental in bringing x-ray machines to the battlefields of World War I and teaching women how to x-ray the soldiers for broken bones, bullets, and various other medical problems. Also, historically interesting is that radium was more expensive than gold and Marie Curie found it difficult to afford the radium she needed in order to study its uses. When a group of women in the United States learned about Marie Curie’s work, they gave her $150,000 to help pay for the radium. What I admire most about Marie Curie is her drive to learn and accomplish great things despite the educational and societal odds against her. Even though she was a woman in a traditionally male field, and could not even go to college in her native country, she forged on and found a way to earn a degree and do what she loved. 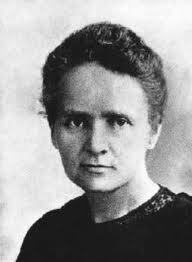 Paper Masters writes custom research papers on Marie Curie and study this world famous physicist, and her discovery of radium.